Salam, Please Login to visit this forum. Shoaib Malik, a former Pakistan captain, will lead the team again in the Twenty20 international against Australia in Melbourne on February 5 after Shahid Afridi, the regular limited-overs captain, was banned for two matches because of a ball-tampering incident during the fifth ODI in Perth. Malik will be the third captain on this tour, after Mohammad Yousuf and Afridi. Yousuf, the team's Test captain, is not part of the Twenty20 squad, while Younis Khan, who was recently replaced by Yousuf, had retired from the format following the World Twenty20 victory in 2009. Kamran Akmal, the squad's vice-captain, was overlooked after he was dropped for the final ODI of the series. 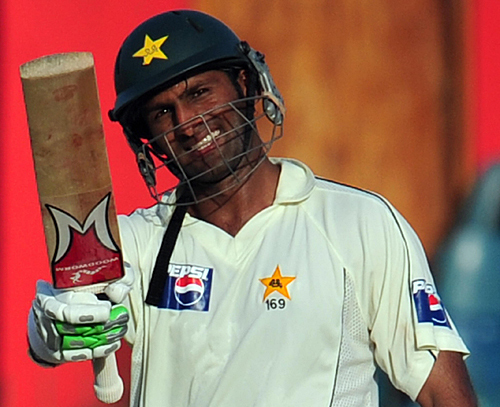 Malik has led the Pakistan team in the past, in all three formats. He was first appointed as the captain in May 2007, after Pakistan's disastrous World Cup campaign under Inzamam-ul-Haq. He had been at the helm for three Tests and 36 ODIs, before handing over the reins to Younis Khan in early 2009. Malik met with the most success as a Twenty20 captain, tasting defeat only twice in 14 matches, including a run to the finals of the World Cup in 2007. His batting and bowling averages are markedly higher in matches where he captained the side.